Home / Super Screener Results / Springboard Mile Weekend RECAP! Of the 5 horses entered by trainer Steve Asmussen in this race, 3 of them hit the Superfecta including the Super Screener’s Top Long Shot pick, #6 Tone Broke, who closed for 4th at odds of nearly 15-1. Given the modest pace that materialized in this race, #5 Bankit ran the best race, to come from last to 2nd showing a strong turn of foot. This New York-bred trainee will appreciate more ground as the road to the Kentucky Derby begins in earnest late next month. As the Super Screener indicated, #1 Audible did not need to win this race…just submit a good effort in preparation for the G1 Pegasus World Cup race next month. Just after the race prior, the skies opened up and the track was flooded, forcing it to be sealed. Audible appeared to struggle to find a smooth stride from the outset and he took the overland route, did persist but could not catch the Super Screener Top Long Shot pick, #6 Sir Anthony. He shot over to the rail heading into the stretch, saving all the ground, which was the difference in securing the ½ length win over Audible at 25-1. Connections will now evaluate Audible and see if he is still fit to go on to the Pegasus. 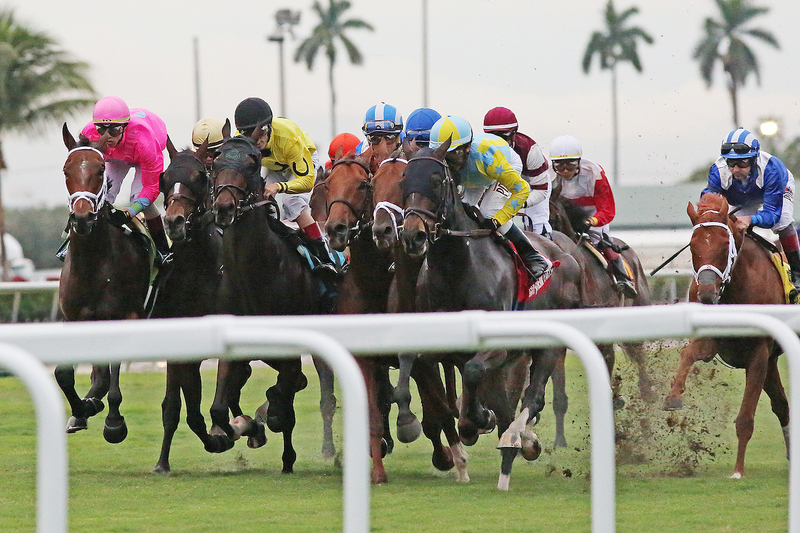 Glorious Empire returned to what he does best…winning by controlling the pace on the turf course with some cut to it. Even Hi Happy was able to stick around for 3rd after tracking the modest pace. 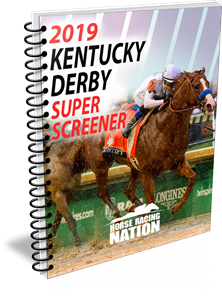 The top two Super Screener choices were nowhere to be found, but the Super Screener Top Long Shot pick, Inspector Lynley, did complete the Superfecta at odds of 18-1. Due to the Christmas holiday and lack of stakes racing this coming weekend, there will be no Super Screener published this week. Instead, we’ll be putting out the special Santa Anita opening day edition, anchored by the G1 Malibu and G1 La Brea stakes early next week. A wonderful Holiday season to you and yours and so grateful for your continued patronage of the Super Screener. Here’s to an extraordinary 2019! Until 12/26, Go Fast and Win! Bought your breeders cup synopsis and in one race Casa Creed was given high marks but was scratched! Waiting till he ran again and jumped ion him!